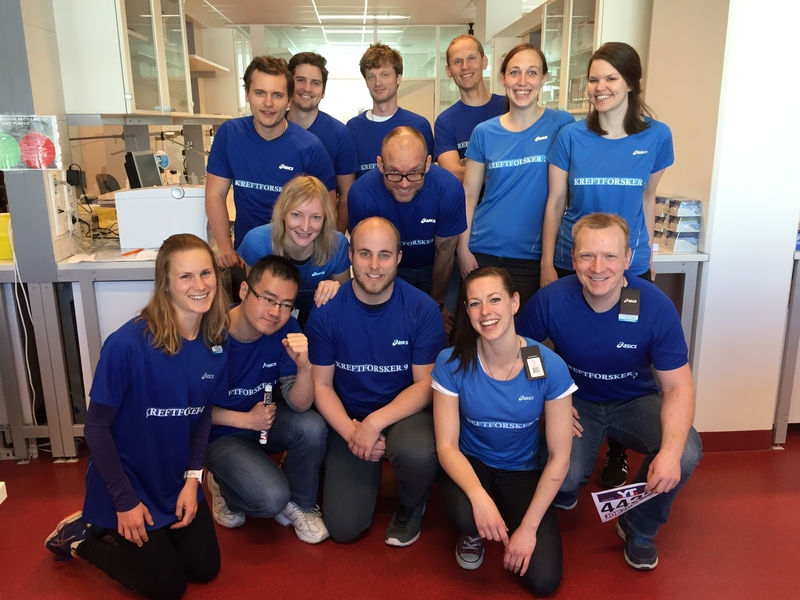 About 40 teams from Oslo University Hospital participated in this year's Holmenkollstafetten, Norway's largest sport event in number of participants (about 51 000). With 15 members on each team, each running between 390 and 2800 meters, this relay race acts as an inspiring annual event, triggering activities at the work places before and after the race, contributing to the improvement of the general public health at the institution. It is not the running of the particular stretch on race day that is important in this respect, it is the training leading up to the event that can make a difference. The Holmenkollstafetten has become an important social happening for many departments at the hospital.